Okay, got up in a swarm of mosquitoes ate quickly and we all got hiking. 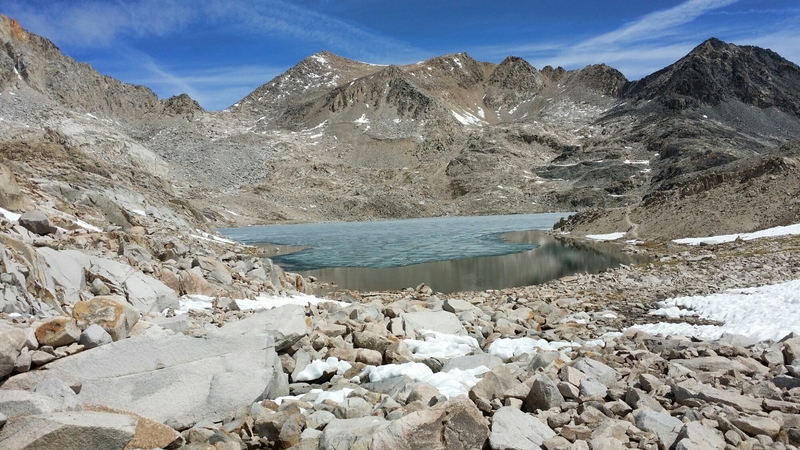 We already were half way to the top of Muir pass but it still took three hours, I took some videos which I will post when I can. 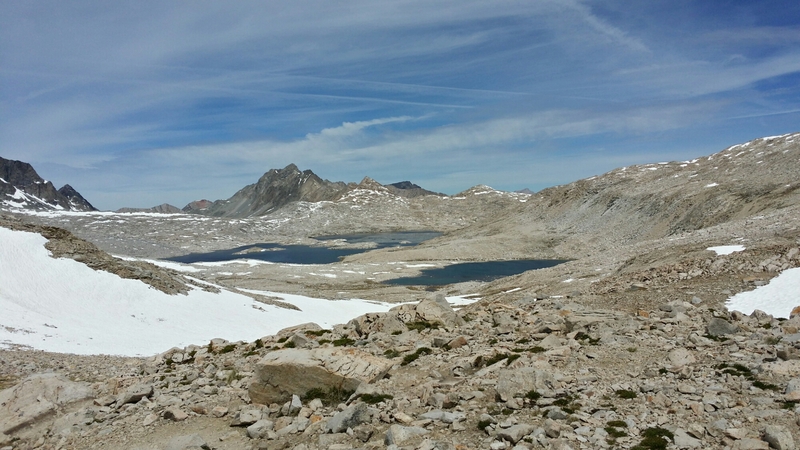 There are long snow fields on either side. 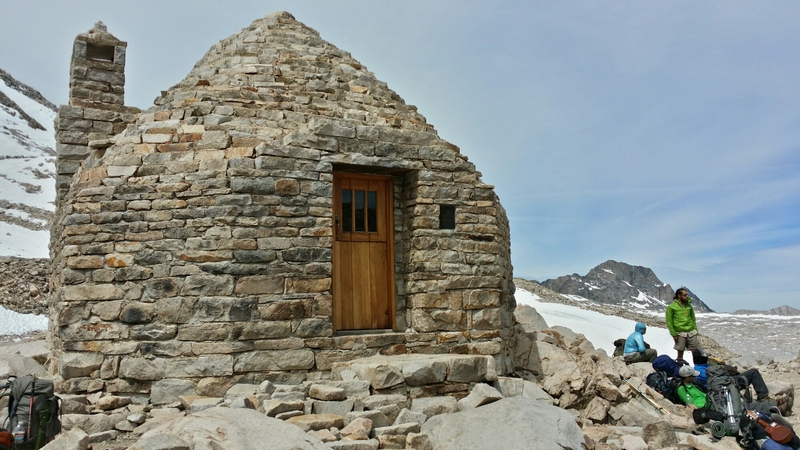 At the top is the Muir shelter, which the Sierra Club put up. There were people in there smoking pot so I didn’t stick around long. Not that I really care but it seemed so pointless and childish to climb “here” and then do that. 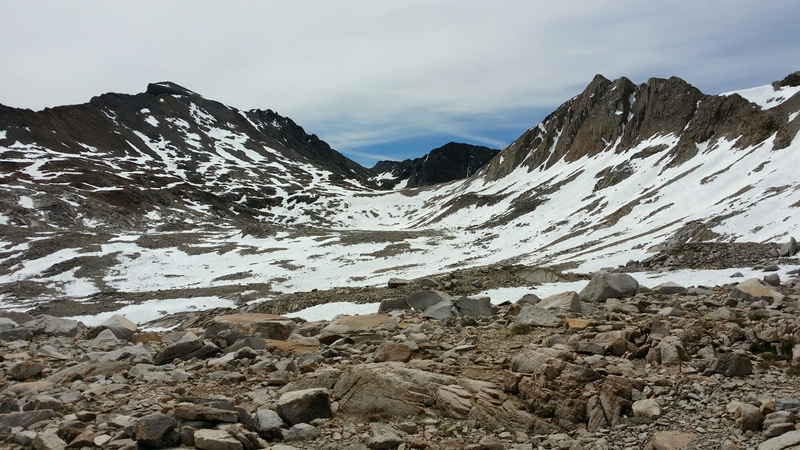 The descent was long as well, with tons of snow field walks, I would not want to do this trail on a high snow year, not at all. 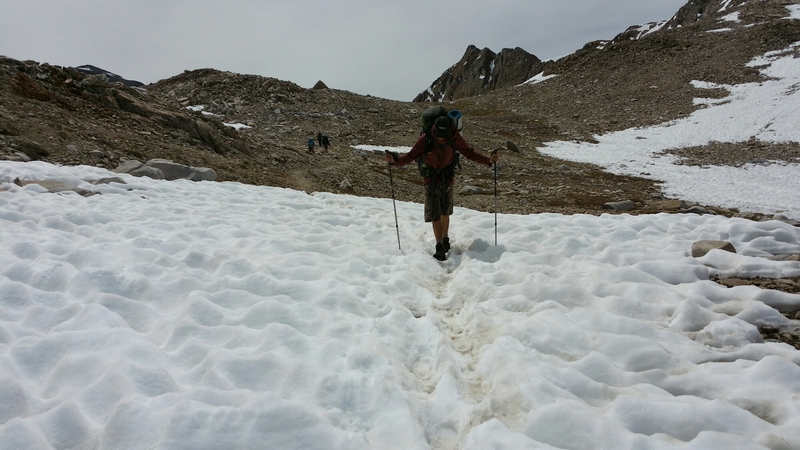 I heard a story of a guy who did this in 2011 and had said he did 700 miles of the trail in snow. I would have quit I think, though people think we are nuts for having done the desert in the third year of a major drought. Soo. 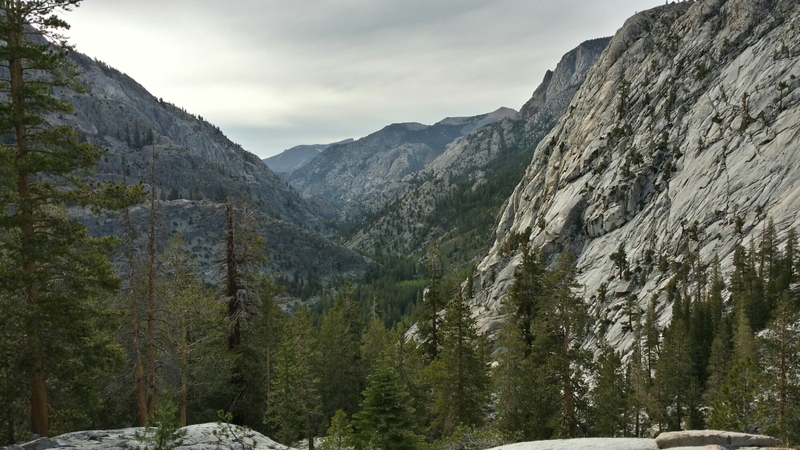 Finally the trail goes way way down into Evolution Valley, which follows the amazing Evolution creek. We made our way down and finally found camp here. 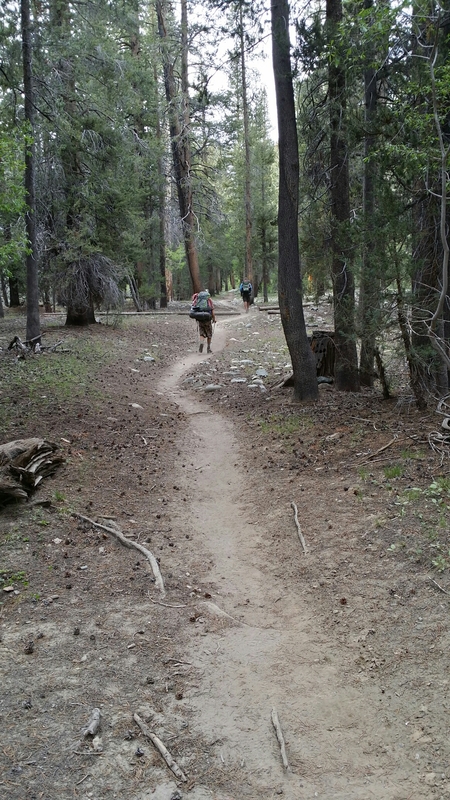 All of us are dead tired, 20 ‘ s in the Sierra is dumb on a couple counts but we needed to make up some miles. For the first time in a while when I stand it is rough and I groan. That was normal at the beginning, but now as seasoned hikers this means it was a tough day, or perhaps, tough series of days. I thought of all these great ‘deep’ things I could write here today but now in my tent with food in me I just want to kill all mosquitoes, and sleep.